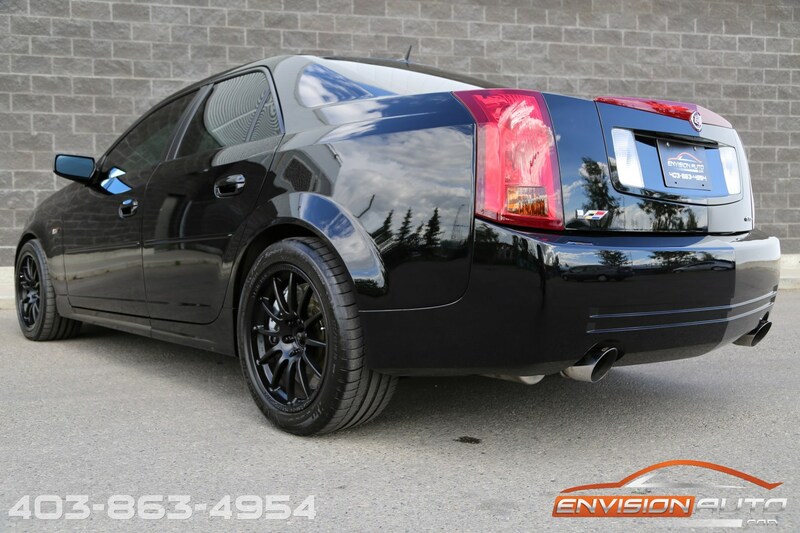 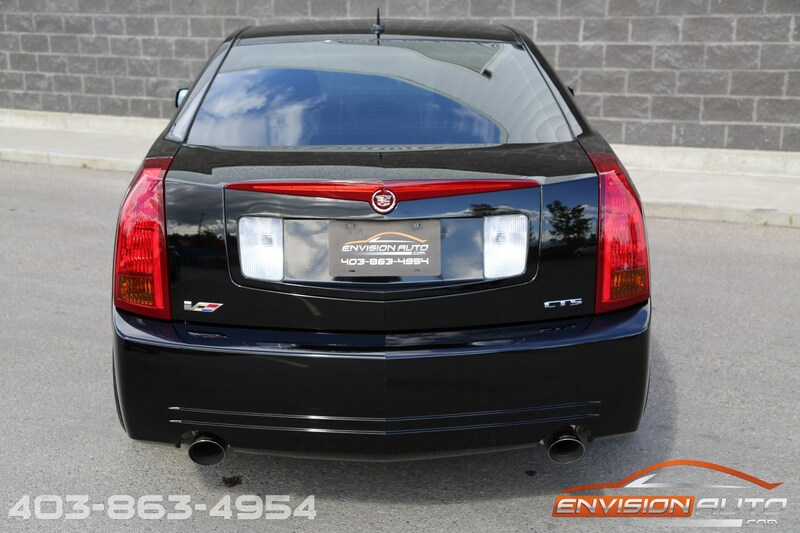 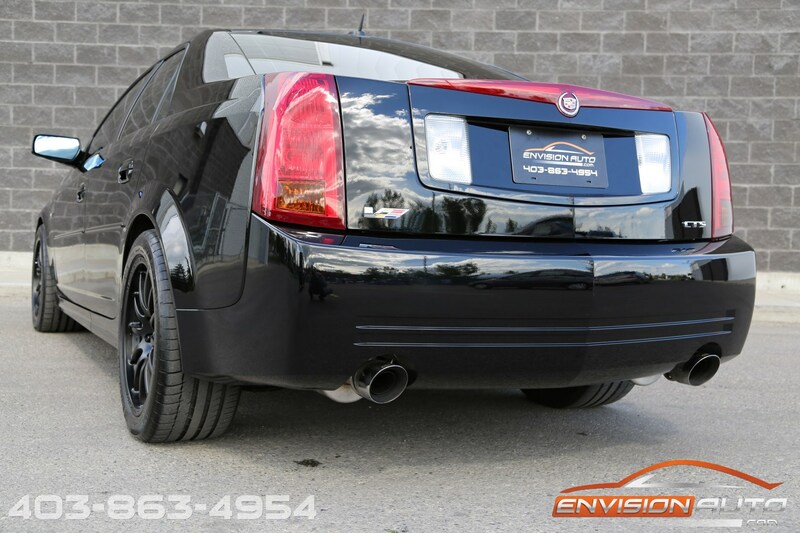 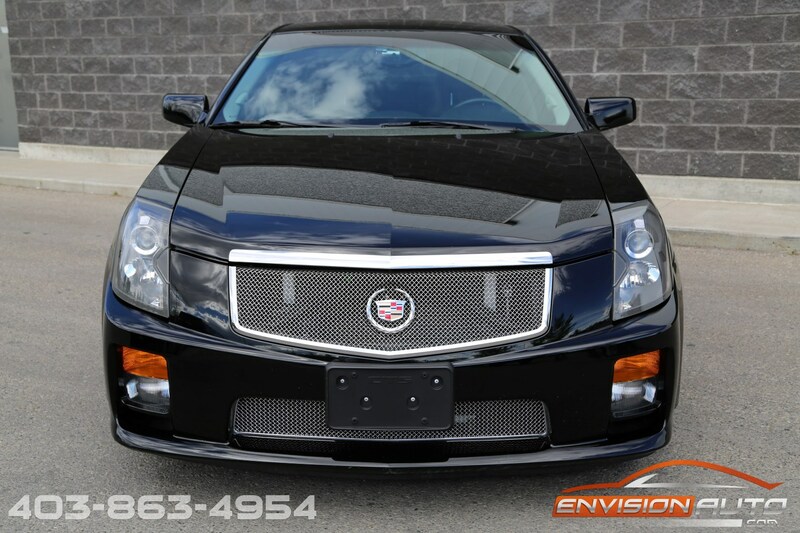 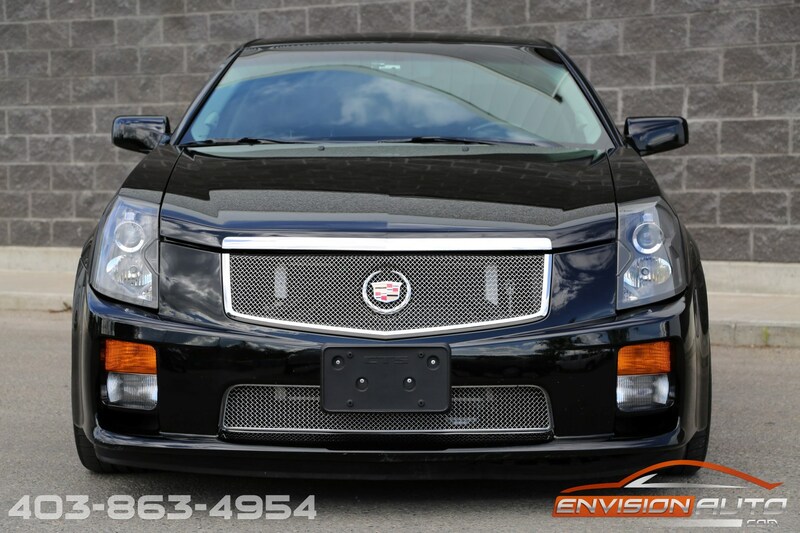 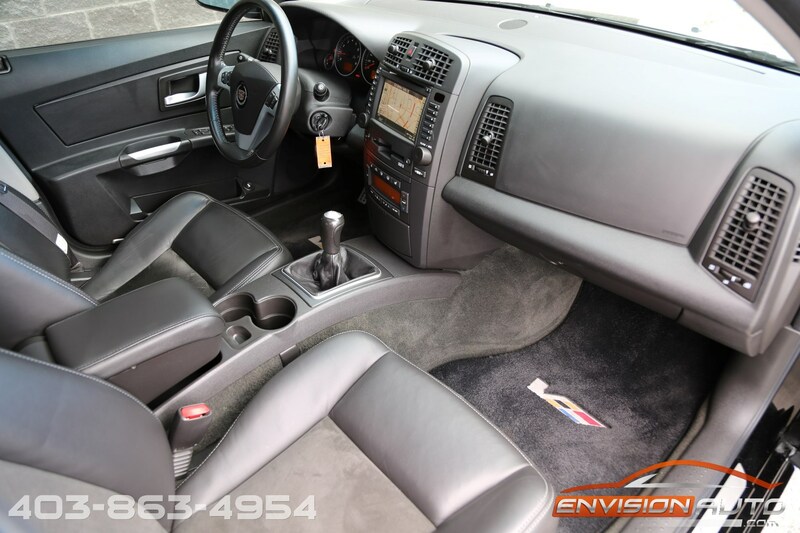 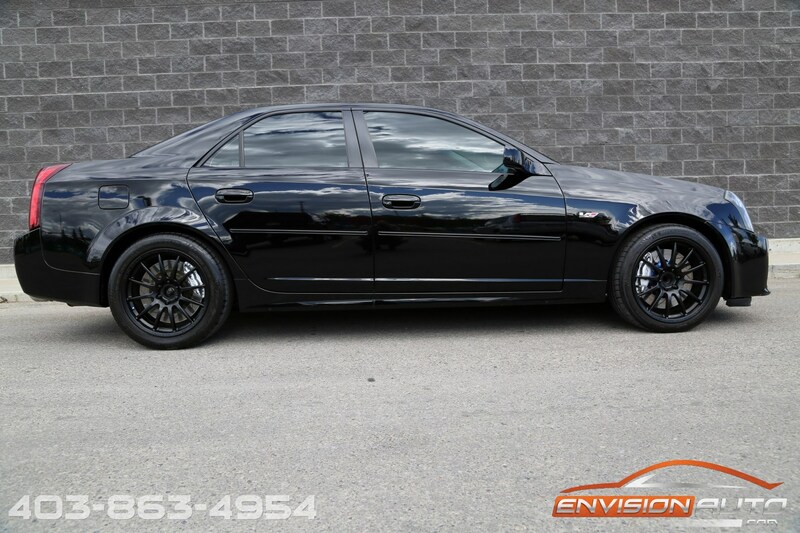 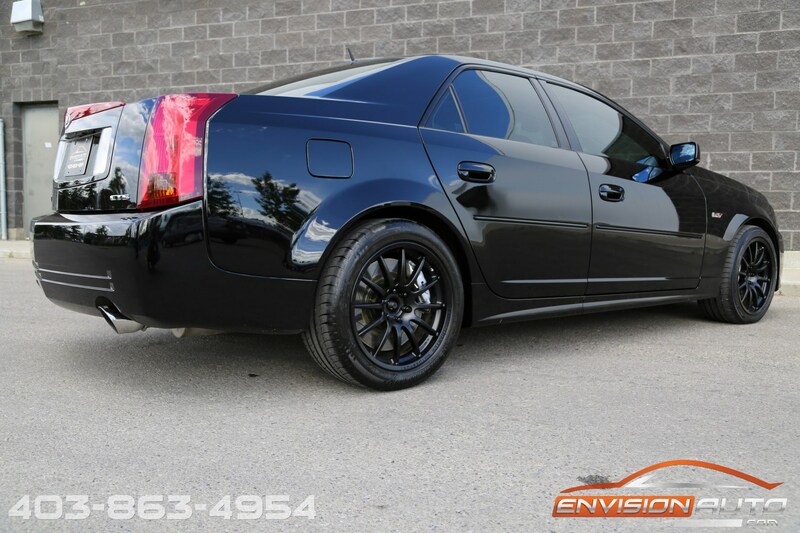 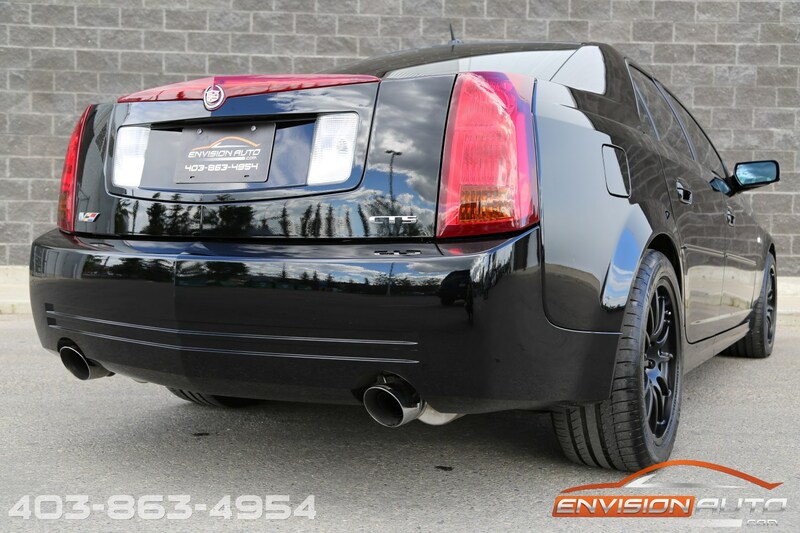 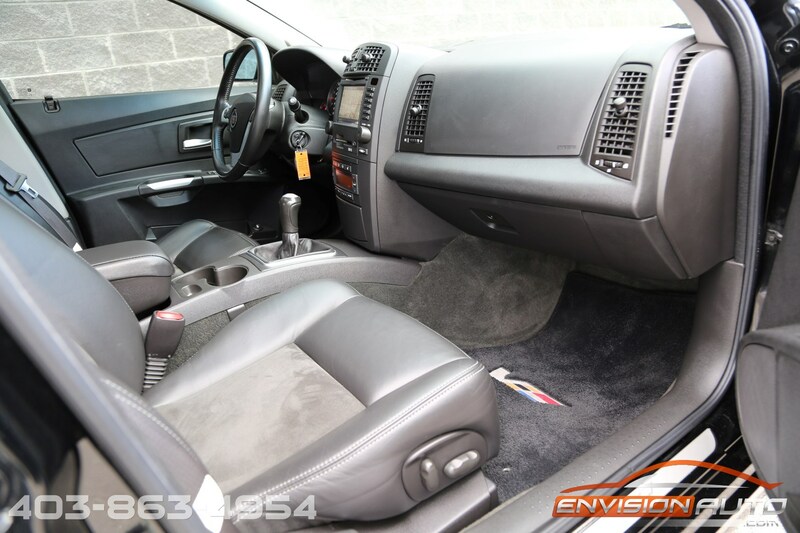 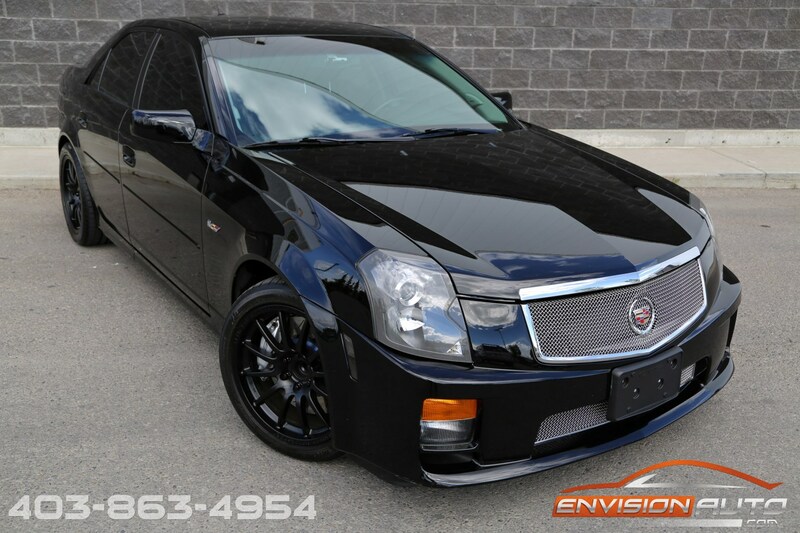 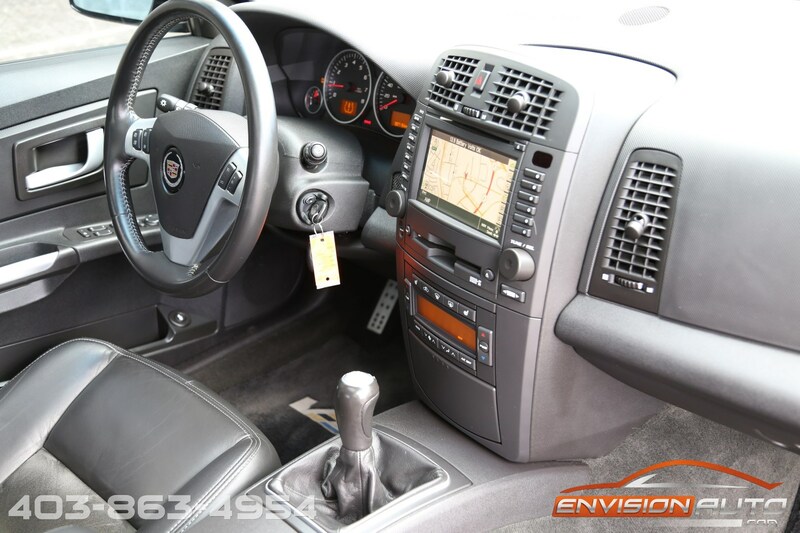 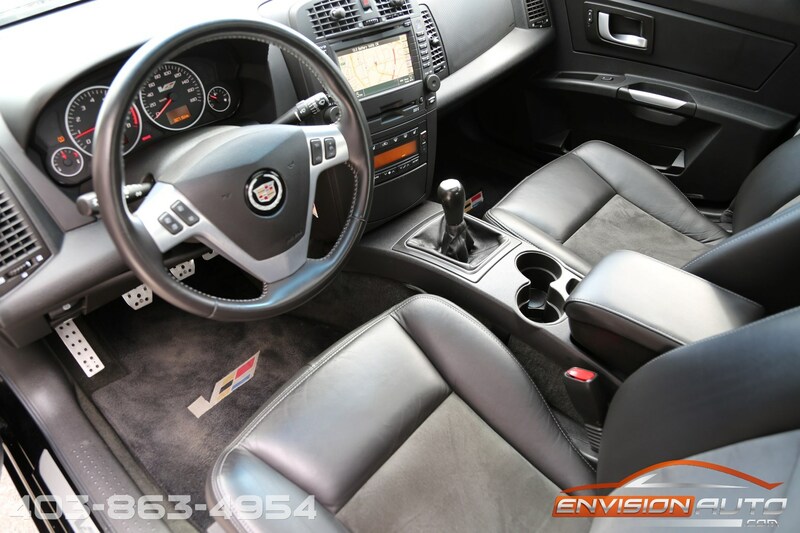 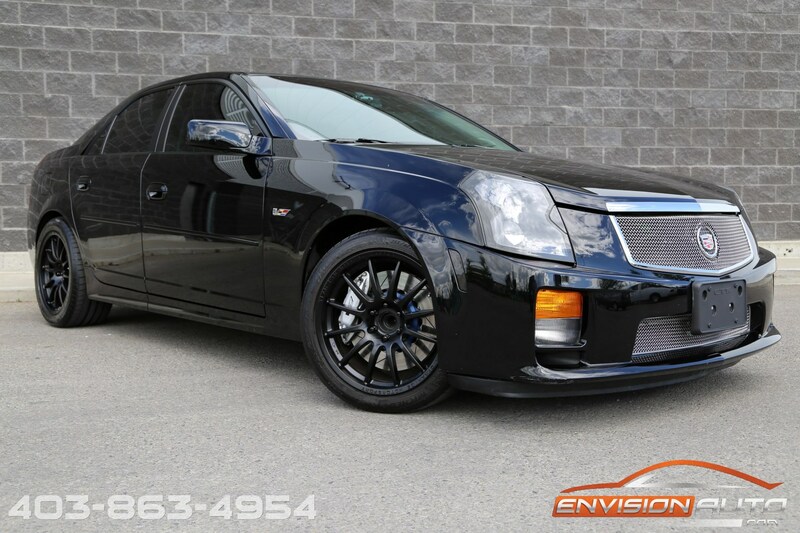 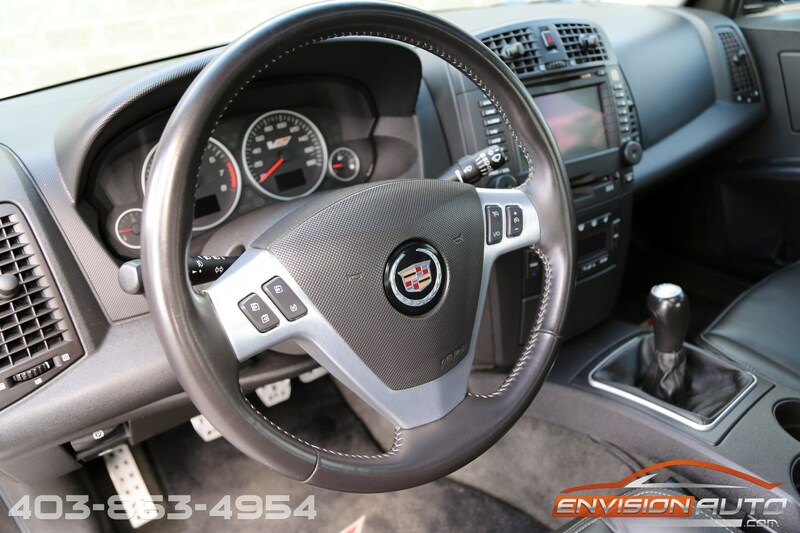 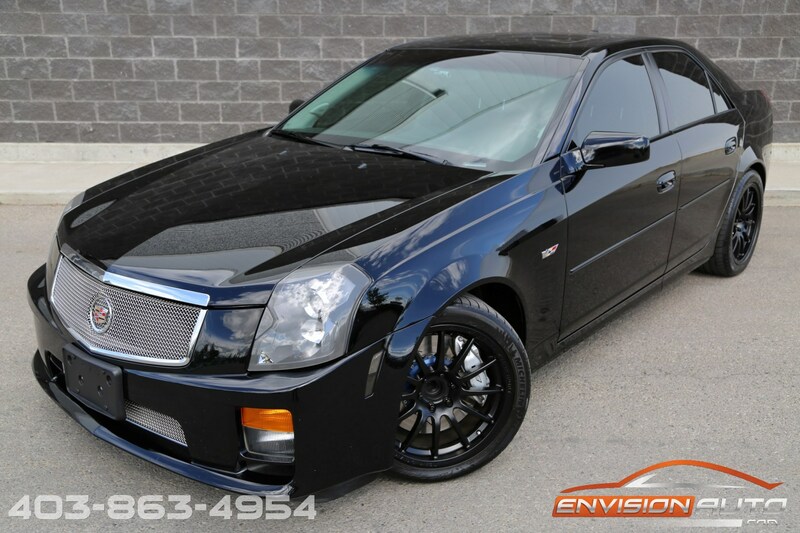 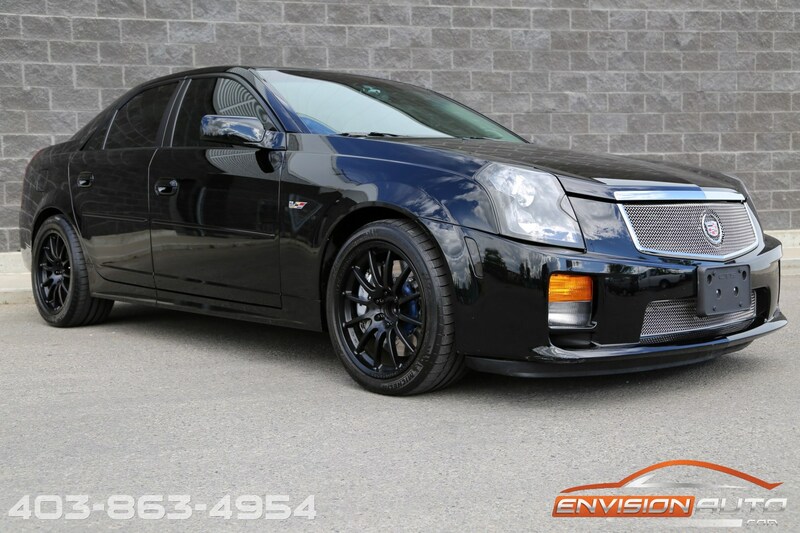 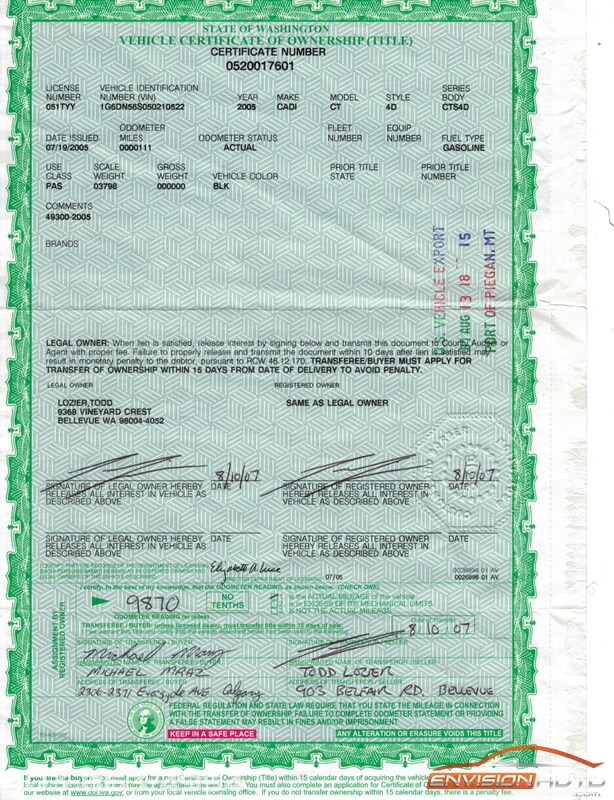 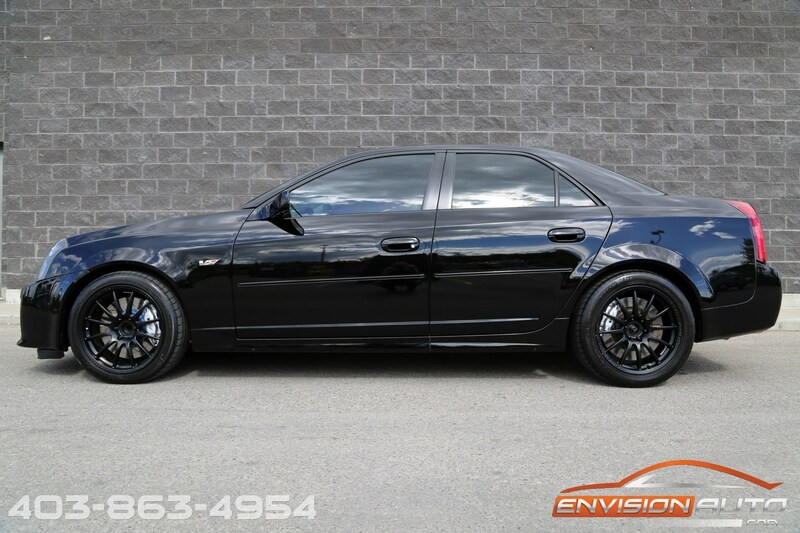 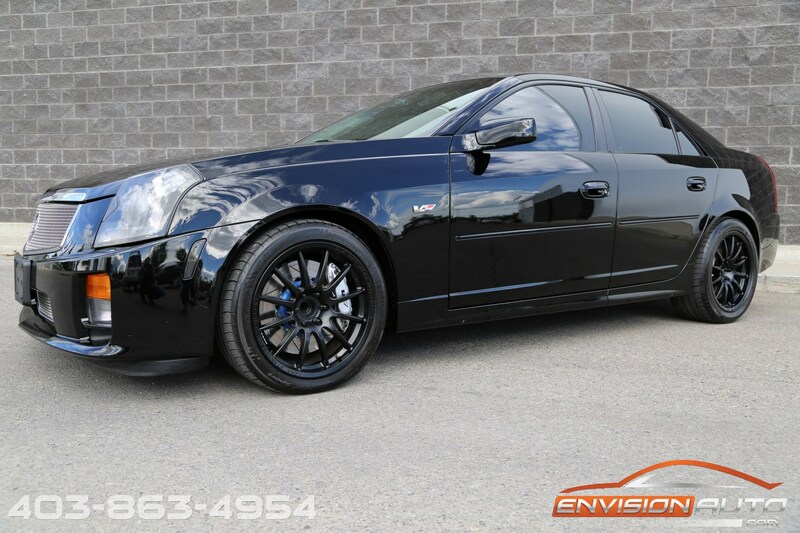 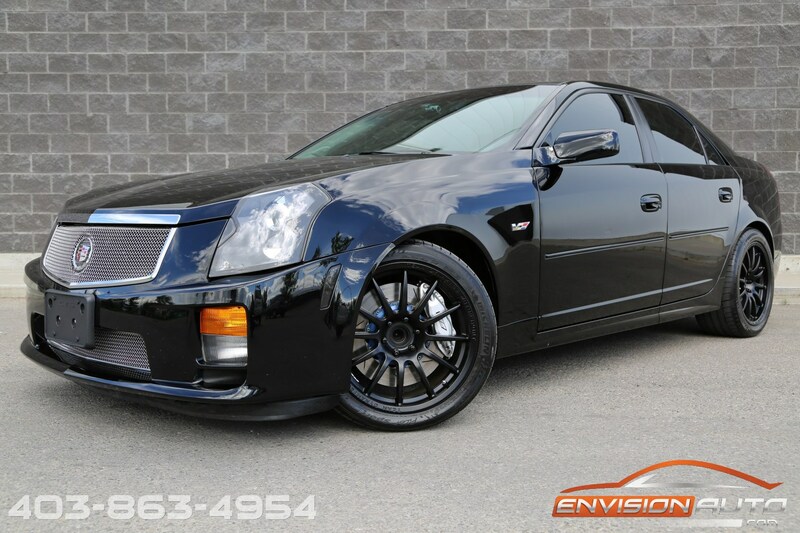 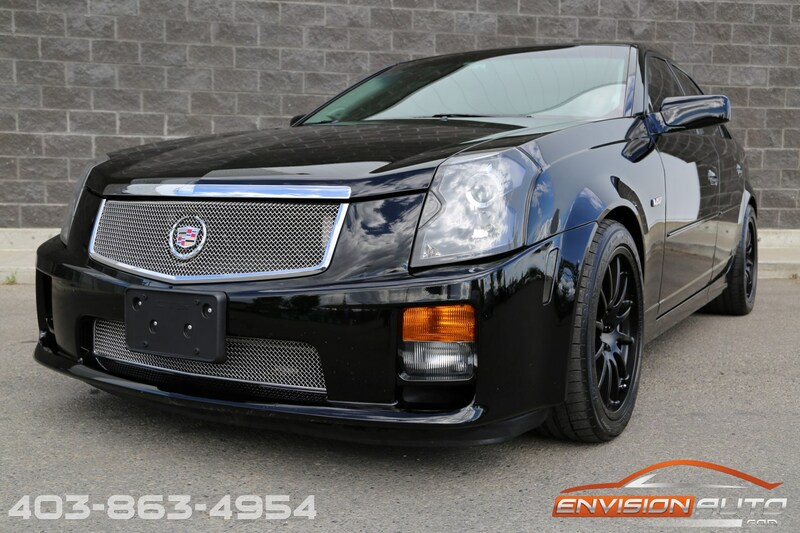 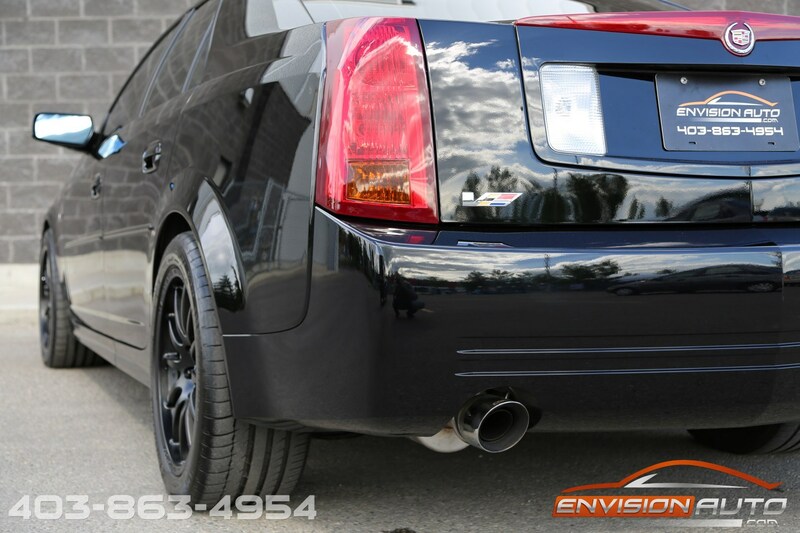 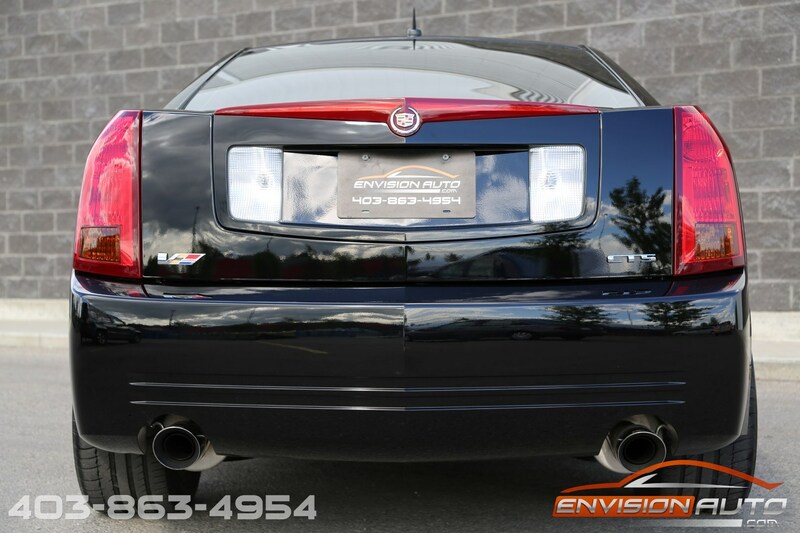 2005 Cadillac CTS-V Sedan – 6 Speed Manual – 470 RWHP!! 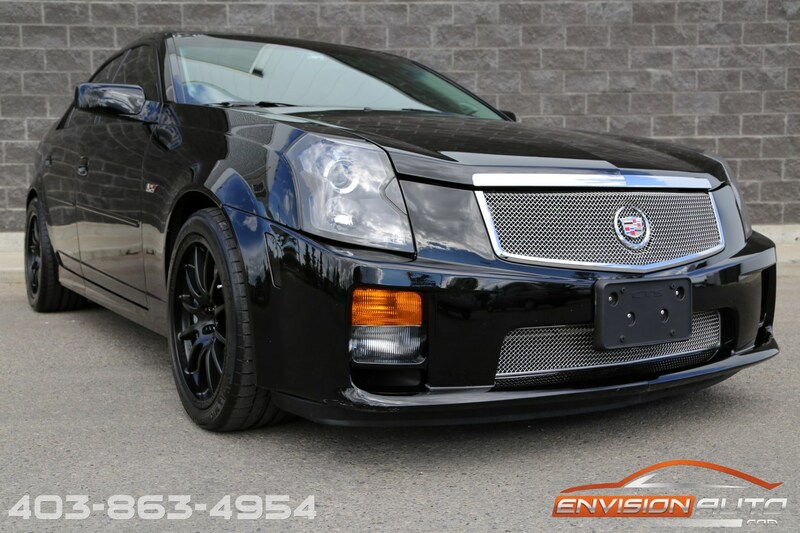 More Details : – DAVENPORT SUPERCHARGED 470 REAR WHEEL HORSEPOWER – 6 SPEED MANUAL TRANSMISSION – UNDER 31,000 KM’S – TWO OWNERS SINCE NEW – SPOTLESS CARPROOF HISTORY REPORT – MAGNUSON SUPERCHARGER – KOOKS HEADERS – CORSA EXHAUST – CUSTOM TEAM DYNAMICS LIGHTWEIGHT WHEELS – FACTORY NAVIGATION – SUNROOF – LOWEST KILOMETERS 2ND GENERATION CTS-V ON THE MARKET TODAY!! 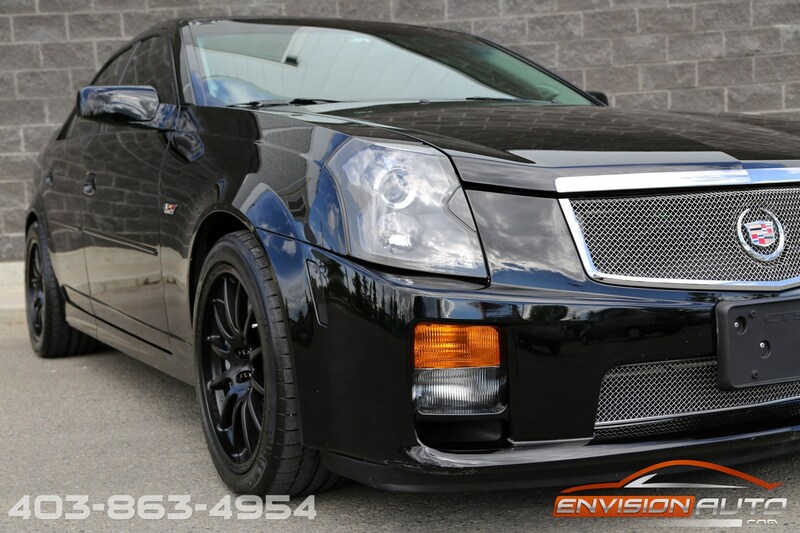 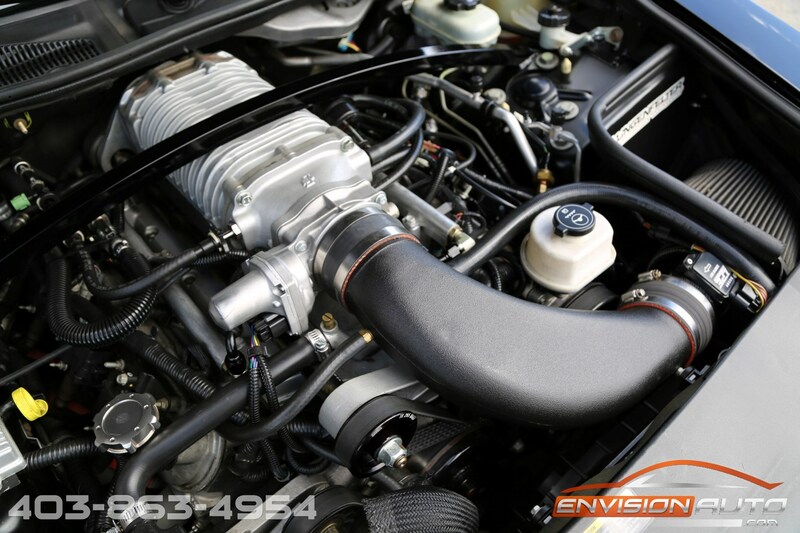 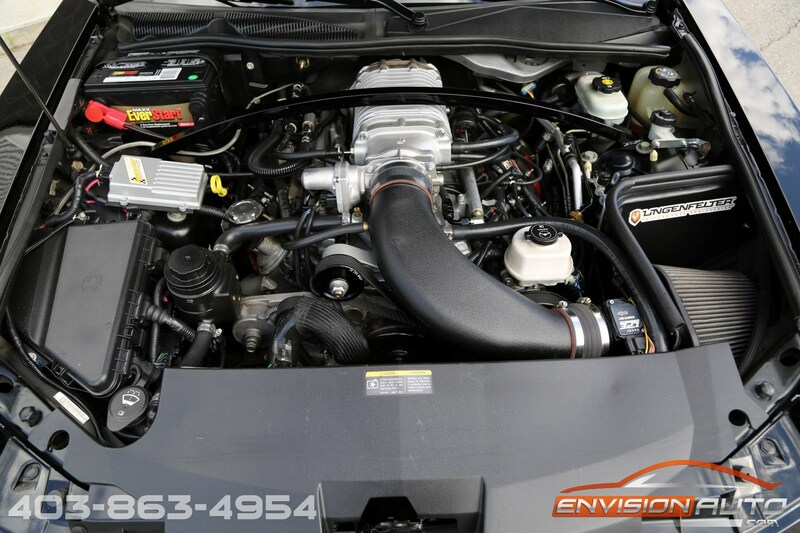 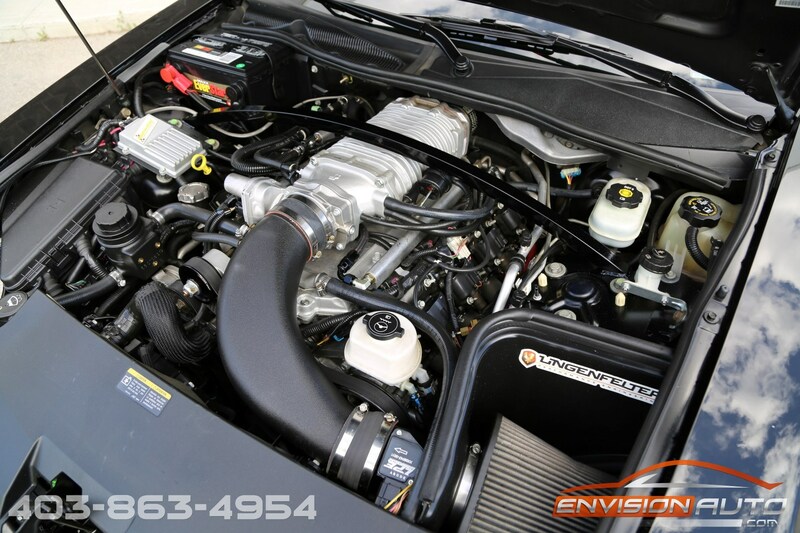 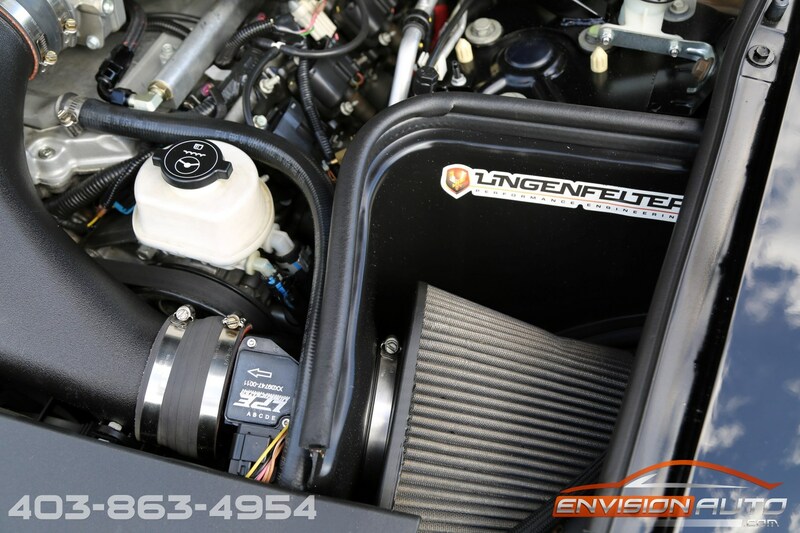 This rare find CTS-V 6 Speed Manual tastefully modified monster was a result of Davenport in Calgary treating the car to a Magnuson MP112 Roots style supercharger, enlarged S/C snout to fit an LS2 102mm ported throttle body, 100mm MAF, Lingenfelter WAI, Kooks ceramic coated headers into a Corsa exhaust (CATs removed). 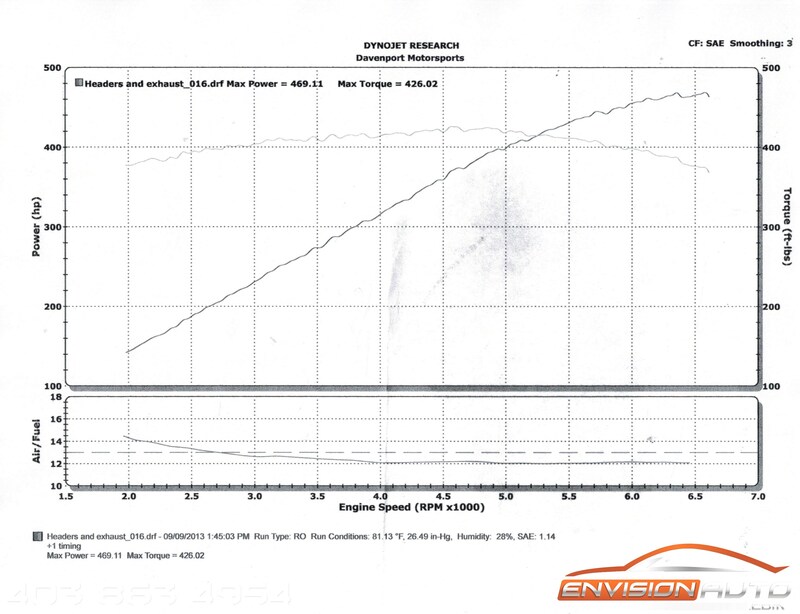 All this combined to boost the 5.7L Corvette Z06 LS6 Engine 470HP/425Tq at the rear wheels (roughly 560/505 at the crank). 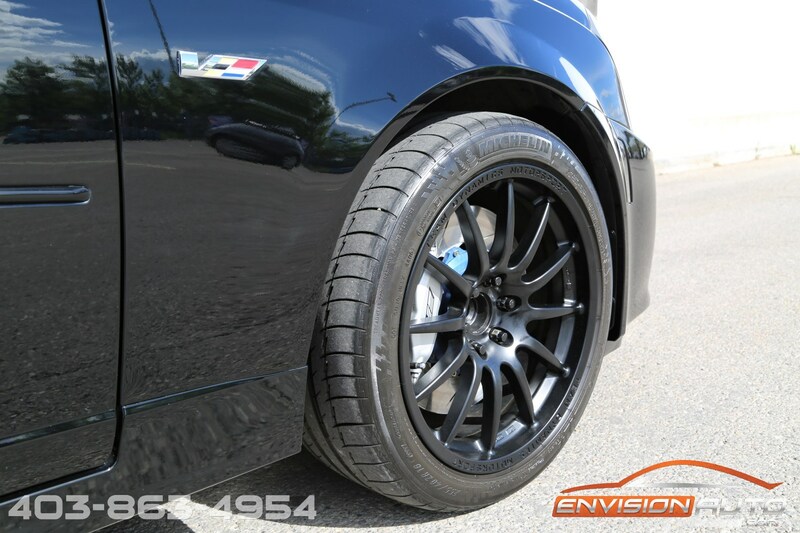 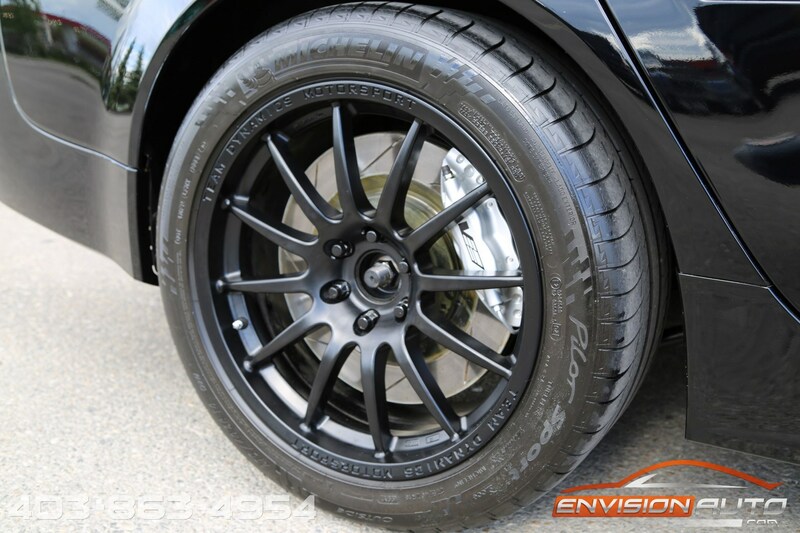 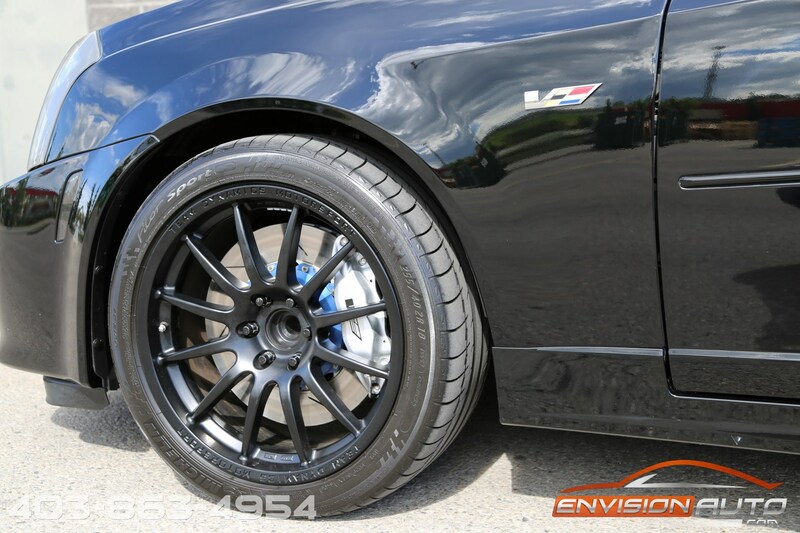 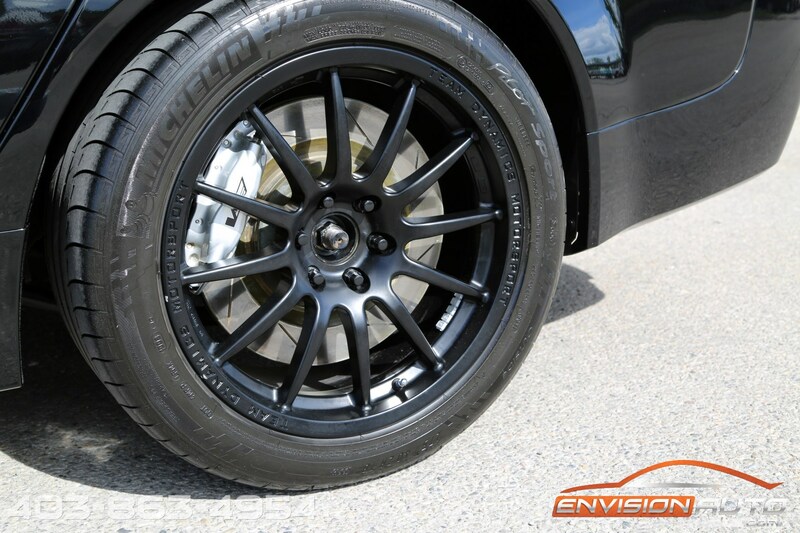 Team Dynamics lightweight 18×9 black finish wheels with 275rear and 255front Michelin Pilot sport PS2 tires, SS brake lines, Hawk performance pads in factory Brembo’s on stock rear setup, floating 2pc front rotors for a decent un-sprung weight savings and better cooling. 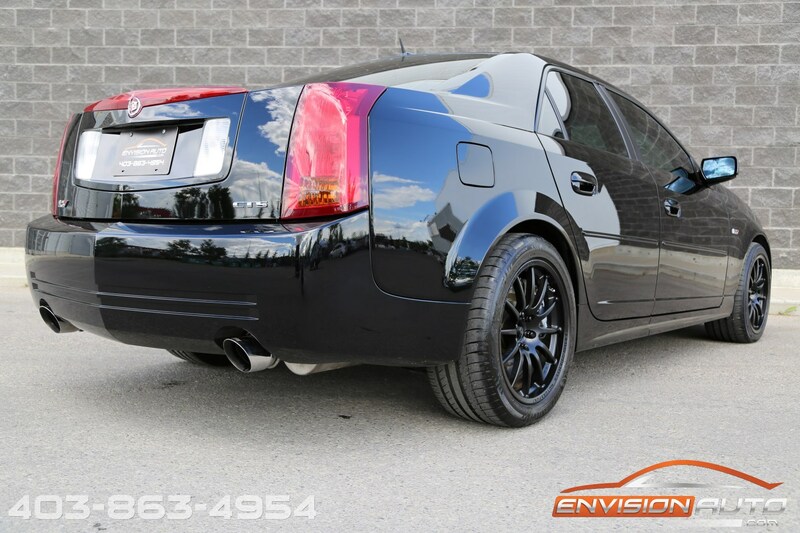 Driveshaft shop aftermarket axles to eliminate the wheel hop these cars were prone to also done showing that no corners were cut in building this stunning beast. 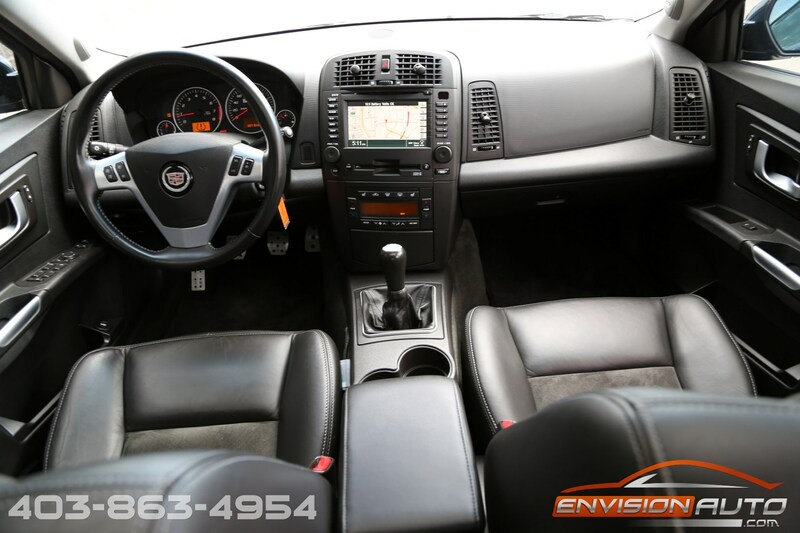 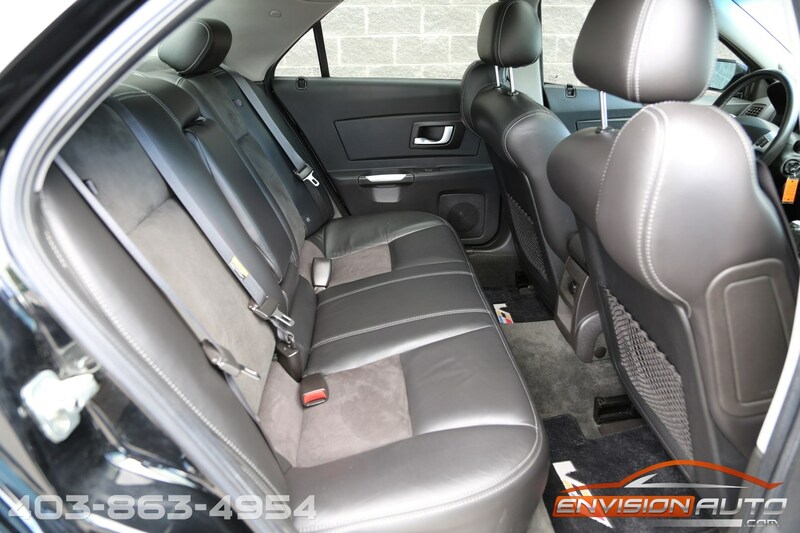 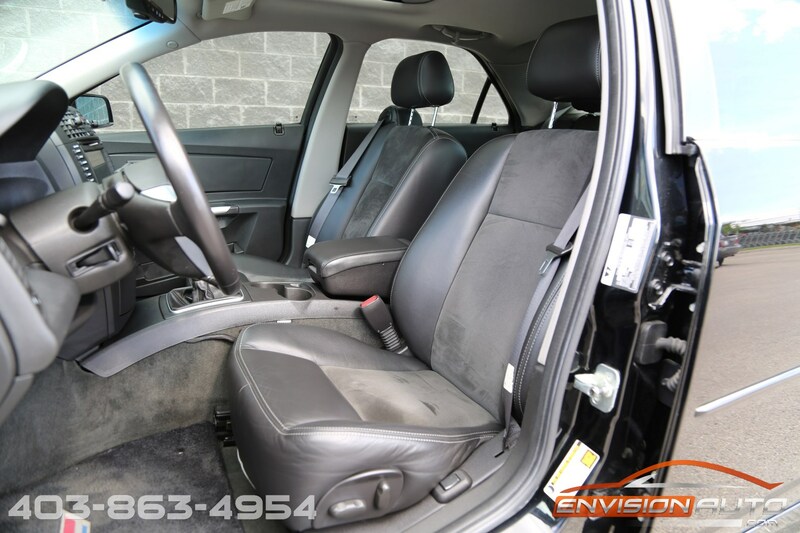 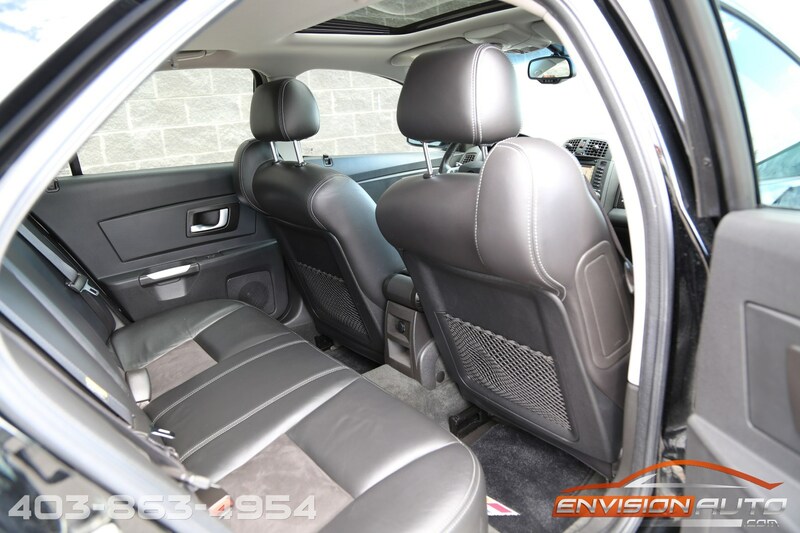 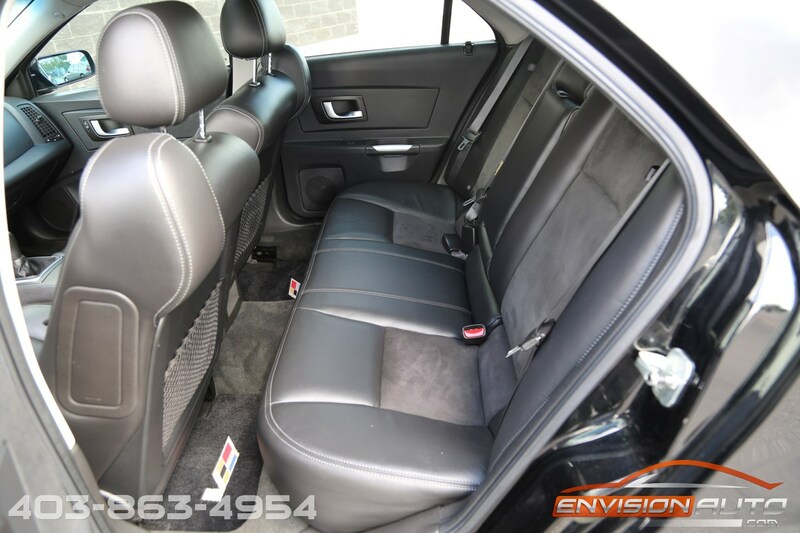 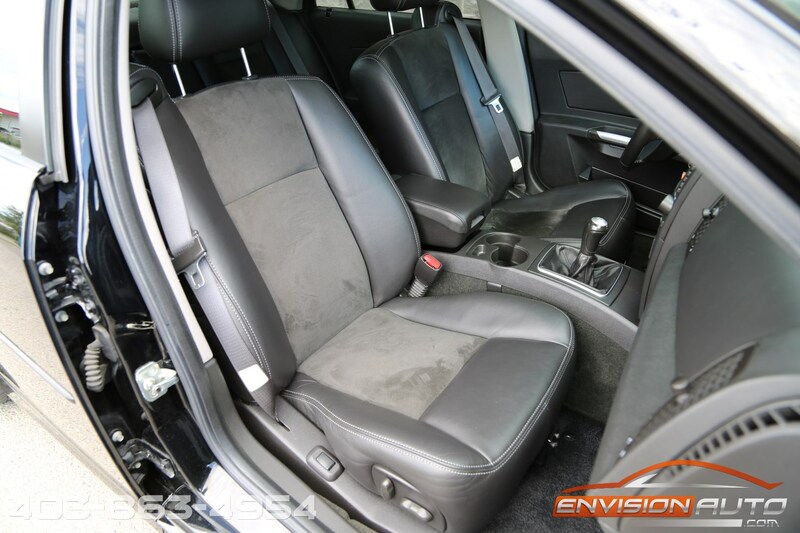 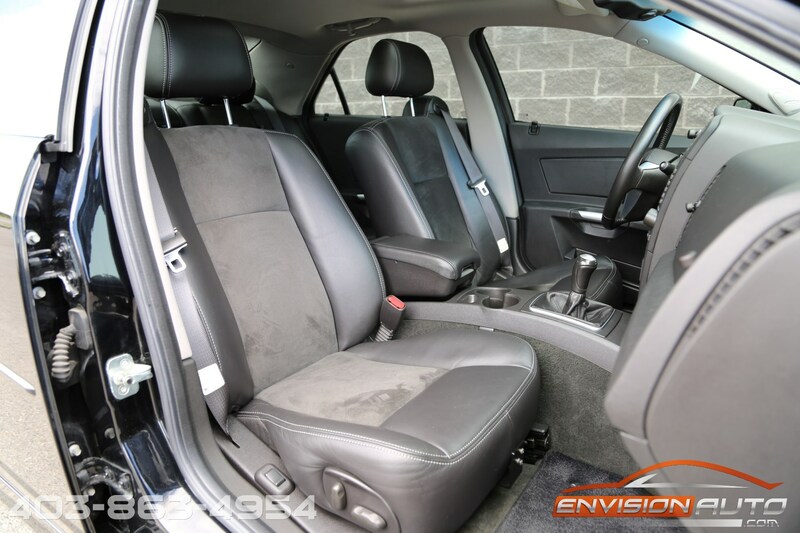 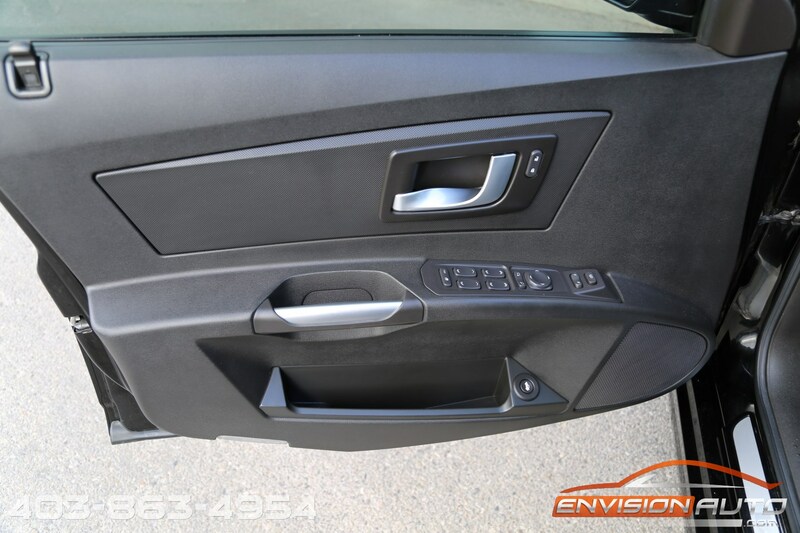 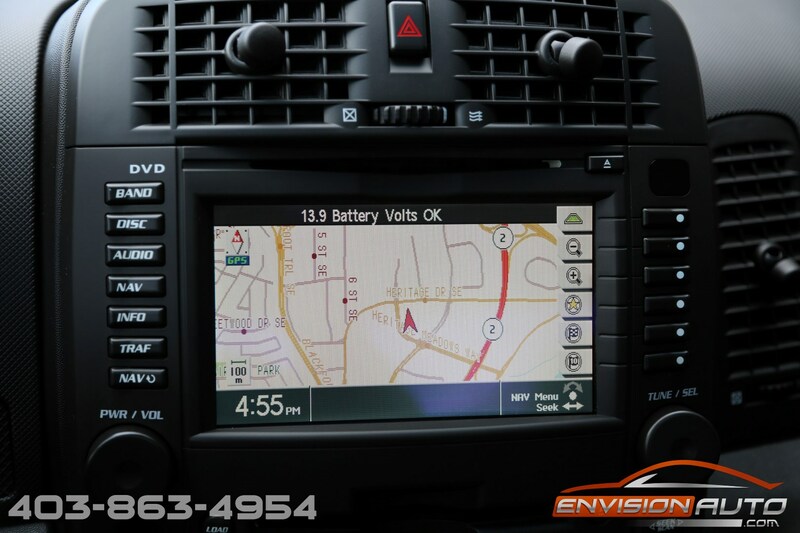 Factory options include navigation, 6 disc DVD Navigation with Bose Speakers and Rear Sub Woofer, heated leather and alcantara seats, and power sunroof.